this phone was once a sky remote. If you want to follow the crowd get a Nokia or Motorola or other phones thats marketed widespread. its look like a remort.not mp3.no memory slot.not a good. 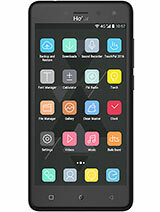 Do somebody know where can i download stuffs for this P7??? this is a real remot control. come on!!! i have had my P7 for amonth now.What a great phone./very high quality! I have just ordered a new battery, car charger and carry case. I suspect that it will be "generic" goods...but I am not too bothered. As long as they fit the phone. 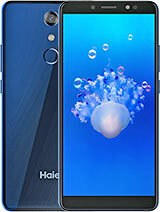 So...HAS ANYONE SUCCESSFULLY FOUND PC SOFTWARE that enables the Haier P7 to be connected to PC?? I have got a cable, but the PC does not recognise the phone. 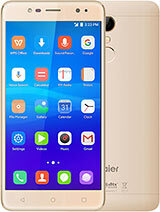 I also wish to know whether there is any software or drivers to connect this phone to a PC. It seems a waste to have a USB port and NOT to have any use for it. And yes...the battery life is terrible in comparison to Nokia phones. That is my main gripe with this phone. To lock the keypad, press and hold "zero" button. You will see the confirmation on your phone screen "keypad is locked". How to lock the keypad of this phone. I don't know. & how much is battry time when we are using this phone. just bought one off ebay. when put it on to charge battery power level indicator only showed for mili second then screen goes dark. if i press keypad, indicator comes back on momentarily. is this right? on my p5 indicator showed throughout charging?? Love it!! 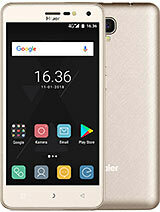 How & Where can I find downloads,usb cable for this phone? I'm with at&t-cingular wirless. 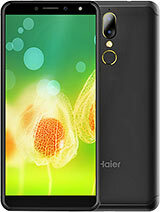 Total of 217 user reviews and opinions for Haier P7.